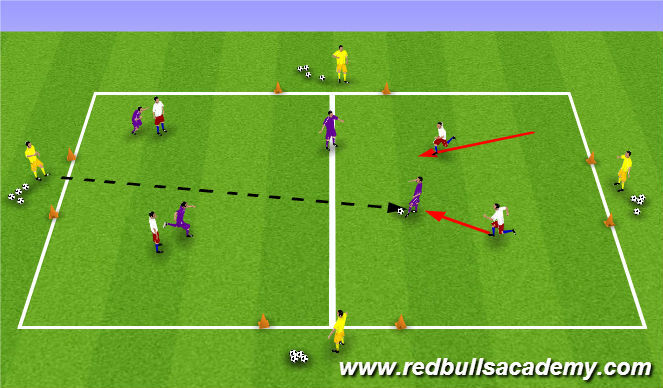 Angle and speed of approach. Body Position should be side ways on and low to the ground. 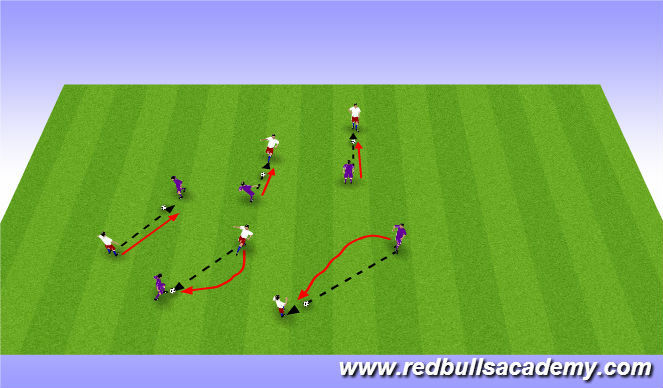 Allow 2nd attacker to support the ball from behind. 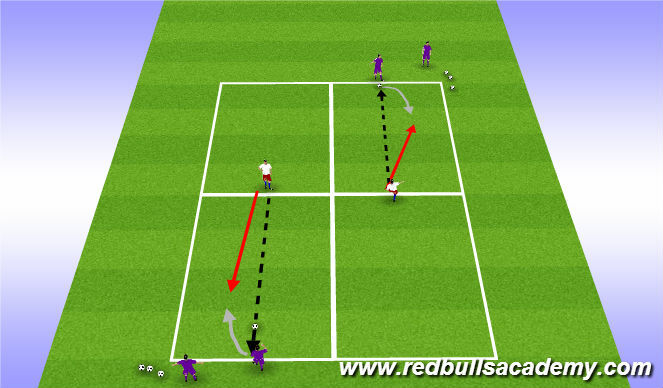 Rotate defending players over a set time period, record any time a defending team knocks all attackers’ balls out of the area.